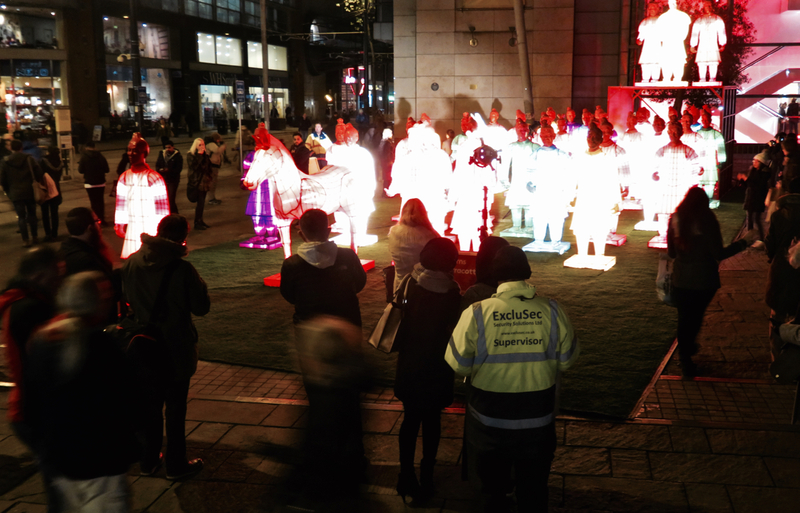 Whereas last Chinese New Year, Exchange Square in Manchester displayed an inflatable dragon, this year we are graced with this illuminated plastic ‘terracotta army’, which may or may not be the tackiest thing I have seen in a while. Still, if the purpose of the display was to get mentions on social media, it has succeeded, going on the number of people taking photos of it today. Including me of course. Or perhaps I was photographing the crowd. But it doesn’t matter does it? The end result is the same. It is what we do now. This creature suddenly appeared in Exchange Square today. But I think we’re safe — it appears to be tied down. The guy in front seems keener to take a picture of something else, anyway, suggesting he isn’t feeling threatened. 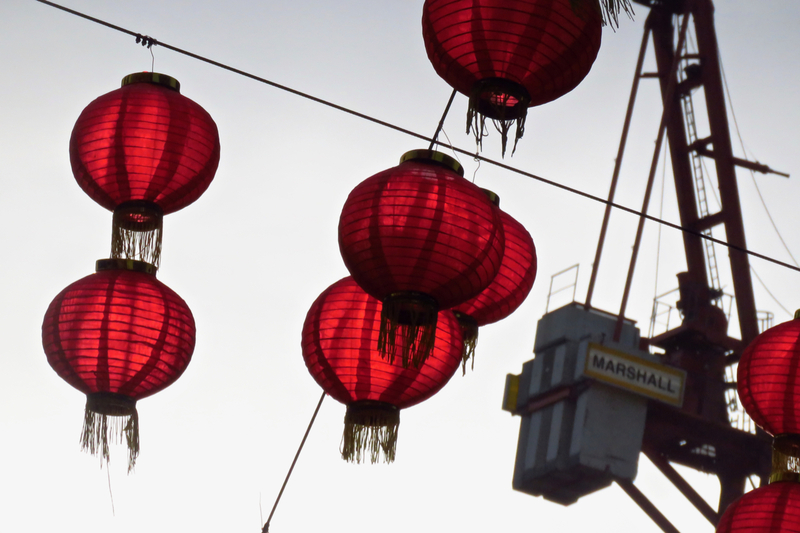 Manchester has a pretty big Chinatown (hence the Chinese Arch, which has made it onto the blog three times by now). The lanterns hung in Albert Square around this time of year (see also here) are also good for a shot each year.